Klayman: Fraudulent Conservative Chief Justice Roberts Screws We the People Again on Eve of Christmas! Klayman: Judge Kelly Is an Establishment and Cowardly "RINO" Republican and Trump Erred in Appointing Him to the Bench! CNN's lawsuit underscored Trump's increasingly hostile relationship with many mainstream media outlets, which he regularly decries as "fake news" and "the enemy of the people." Klayman: SCOTUS Has Always Been Partisan! 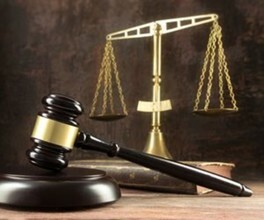 Nation Needs New Method to Choose Judges and Justices! Kavanaugh's Confirmation Means SCOTUS Has Become a Partisan Institution. Only One Thing Can Hold Back Trump Now. Klayman: Kavanaugh Forced to Admit He Was Wrong in Klayman v. Obama Landmark 4th Amendment Case! 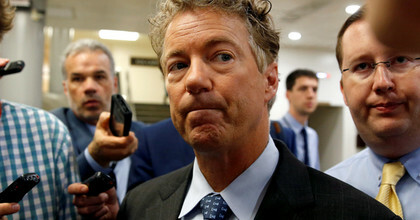 "I've talked repeatedly in this hearing about how technology will be one of the huge issues with the Fourth Amendment going forward," said Kavanaugh, who serves on the United States Court of Appeals for the District of Columbia Circuit. Klayman: Kavanaugh Forced to Change His Tune on 4th Amendment and Mass Surveillance! 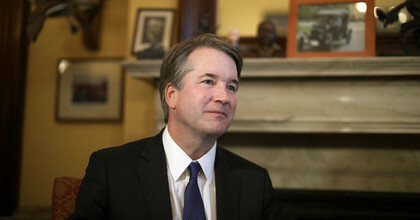 Supreme Court nominee Brett Kavanaugh testified Thursday night that "I don't see how I could" stand by a 2015 opinion he wrote upholding the dragnet collection of domestic call records, citing a recent ruling that limited police access to cellphone location data. But Kavanaugh's disavowal didn't win over attorneys who challenged the National Security Agency program, who say they remain concerned about his interpretation of the Fourth Amendment and his still-murky role in post-9/11 surveillance programs. What Does Kavanaugh's Paper Trail Say? Let's Ask the Experts. Before his nomination to the Supreme Court, Kavanaugh's most prominent moment during the Trump presidency was his role in Garza v. Hargan, a case involving an undocumented teenager who was blocked by the federal government from receiving an abortion. The case brings together two of the elements in Kavanaugh's jurisprudence that have most concerned those opposed to his nomination: his view on Roe v. Wade and his deference to executive power. At least one of Supreme Court nominee Brett Kavanaugh's concurrences reveals arguments that should concern those who value civil liberties. Members of the Senate Committee on the Judiciary should press Kavanaugh on these arguments at his upcoming confirmation hearing. In 2015, Kavanaugh wrote a solo concurrence in the denial of rehearing en banc in Klayman v. Obama (full opinion below), in which the plaintiffs challenged the constitutionality of the National Security Agency's (NSA) bulk telephony metadata program. According to Kavanaugh, this program was "entirely consistent" with the Fourth Amendment, which protects against unreasonable searches and seizures. Klayman: WaPo Has No Problem When the Bias Is on the Left! Klayman: Not the Only Trump Federal Judge Who Is Part of the Establishment Swamp. 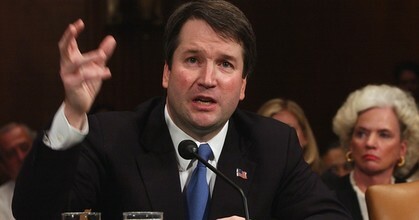 SCOTUS Nominee Kavanaugh Will Be a Problem! Klayman: President Should Now Withdraw Kavanaugh Nomination and Pick a Judge Who Respects Privacy Rights Under 4th Amendment! 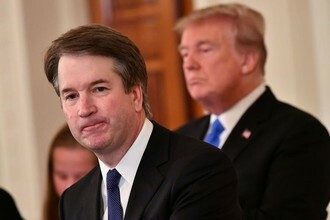 Republicans on the Senate Judiciary Committee said Thursday that they'll move forward with the confirmation process for Brett Kavanaugh, President Donald Trump's pick to the Supreme Court, even if they will not have time to review documents pertaining to his work in the George W. Bush administration. Republicans asked the National Archives and Records Administration last week if it could release thousands of documents relating to Kavanaugh's time in the White House Counsel's Office for Bush by Aug. 15. That would give Senate Judiciary Committee members enough time to review the documents ahead of a likely hearing in September and allow for a final confirmation vote by the start of the new Supreme Court term on Oct. 1. 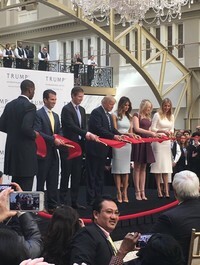 President Trump's proceeds from his business empire are "emoluments" under the Constitution, so a lawsuit challenging the president's refusal to distance himself from his hotels can move forward, a federal judge ruled Wednesday. 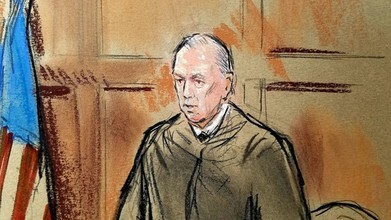 District Judge Peter J. Messitte said Maryland and the District of Columbia have "convincingly argued" that Mr. Trump may be enriching himself from his hotels while serving as president. Klayman: More Federal Judiciary Hackery! A Real Disgrace That Must Be Remedied! 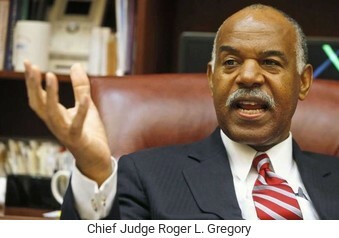 Go to www.FreedomWatchUSA.org to Join and Donate to Judicial Selection Strike Force! 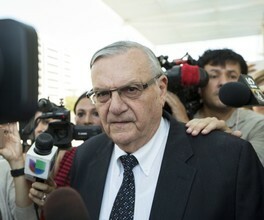 A federal appeals court said this week it will appoint a lawyer to argue that former Arizona Sheriff Joe Arpaio's contempt of court conviction should remain on his record despite President Trump's pardon. The 9th U.S. 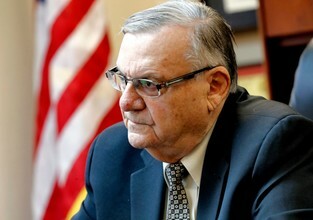 Circuit Court of Appeals said that since the federal Justice Department is supporting both the pardon and Mr. Arpaio's request to have his conviction stricken, someone else needs to argue the other side. 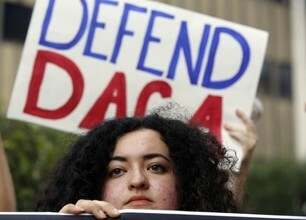 A federal judge in California blocked President Trump's planned phaseout of the Obama-era DACA deportation amnesty in a ruling late Tuesday that could upend the negotiations on Capitol Hill over "Dreamers" future. Judge William Alsup, a Clinton appointee to the bench, ruled the DACA program legal — the first court to do so — and said the administration illegally cut corners in canceling it. "President Trump will choose a nominee for a future Supreme Court vacancy, should one arise, from this updated list of 25 individuals," the White House said in a statement. "The president remains deeply committed to identifying and selecting outstanding jurists in the mold of Justice Gorsuch. These additions, like those on the original list released more than a year ago, were selected with input from respected conservative leaders." Federal appeals court maintains freeze of Trump's travel ban. Attorney general vows Supreme Court appeal. A federal appeals court on Thursday left in place the freeze on President Trump's revised entry ban, handing the administration another legal setback in its efforts to block the issuance of new visas to citizens of six Muslim-majority countries. 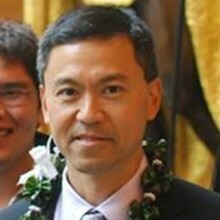 Klayman: Obama-Appointed Hawaiian Judge Will Be Overturned Even by Ninth Circuit! "The ruling of this ultra-leftist renegade judge, which liberal constitutional law professor Alan Dershowitz has found to be illegal, will fail on appeal even before the U.S. Court of Appeals for the Ninth Circuit, which oversees Hawaii. 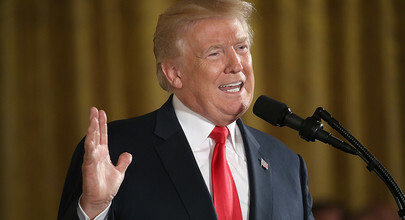 Freedom Watch, as it did with the first Trump immigration executive order, will be filing amicus curiae 'friend of the court' briefs supporting President Trump. This totally political ruling is an outrage but unfortunately typical of the current state of the judiciary, which is currently dominated by an overwhelming number of Clinton and Obama appointed leftist judges, who have little to no respect for the Constitution. 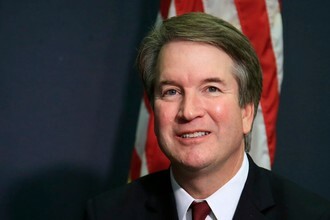 For this reason, Freedom Watch's Judicial Selection Strike Force (see www.freedomwatchusa.org or www.judicialselectionstrikeforce.org) will be working with the president to identify and select judges for appointment and confirmation who respect the Constitution and the rule of law. There is much work to do, as there are over 100 vacancies on the lower federal courts that need to be filled. Please go to our websites and donate to this worthy cause, as our judicial and legal systems are severely broken." Klayman and Freedom Watch File New Amicus Brief Seeking En Banc Review of Ninth Circuit Temporary Restraining Order (TRO) Enjoining Implementation of Trump Temporary Ban of Immigration From 7 "Terrorist" Middle Eastern Nations! (San Francisco, Ca. February 14, 2017). Today Larry Klayman, founder of both Judicial Watch and now Freedom Watch, filed a new amicus curiae brief seeking en banc review. This brief is embedded below and can also be found at www.freedomwatchusa.org. 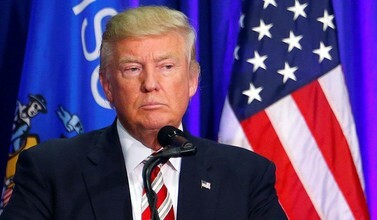 "President Trump and his Justice Department should not only join us in seeking en banc review of the outrageous and lawless TRO issued by leftist federal judge James Robart and effectively affirmed by the Ninth Circuit, but also quickly redraft its executive order to implement the president's temporary ban on immigration from 7 "terrorist" Middle Eastern nations. 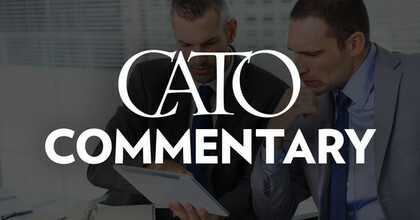 This battle against corruption in the federal judiciary, as well as to further national security in the face of leftist opposition, can thus be fought on two fronts. In addition this whole sordid legal affair underscores the need for President Trump to appoint non-political federal judges, who obey the law and Constitution as written. Freedom Watch's Judicial Selection Strike Force, composed of various conservative and other responsible interests, seeks to vet and recommend these would-be jurists to President Trump, as there are over 100 federal vacancies on the federal bench that can now be filled." See www.judicialselectionstrikeforce.org. Judge Robart Should Be Impeached! "The ruling is regrettably not surprising, as this judge not only disobeyed and flouted the law but apparently was more intent on making a name for himself in a very leftist state, Washington, and around the nation. While he was nominated by former President George W. Bush, this means little to nothing. The Bush family and many of its Republican establishment officials, after the unsuccessful presidential campaign of Jeb Bush, not only harbor an animus against President Trump, but W.'s appointed federal judges during his failed administration were generally not strict constructionists of the Constitution, or the rule of law. 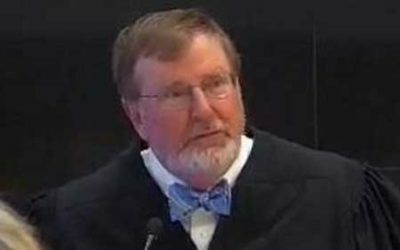 In addition to this renegade Seattle judge, James Robart, who also has taken over control of the Seattle Police Department, I am reminded of another W. appointee, federal judge Murray Snow who presides in the federal court in Phoenix, Arizona, who not only also has taken control of the Maricopa County Sheriff's Office, but unethically persecuted former Sheriff Joe Arpaio, boasting to his wife that he was bent on destroying Arpaio while presiding over a contempt trial sparked by the ultra-leftist and itself unethical ACLU. Without question, President Trump has assembled an excellent list of potential Supreme Court nominees but one stands out and gets the Judicial Selection Strike Force Coalition's (JSSFC) highest rating: William Pryor. Among other attributes and accomplishments, he has correctly identified Roe v. Wade as the raw act of judicial tyranny that it is and properly described the decision as an "abomination." Ironically, this also squares with the assessment of liberal constitutional law professor Alan Dershowitz. Pryor currently sits on the U.S. Court of Appeals for the Eleventh Circuit and is an exceptional candidate for proponents of a restrained judiciary, which enforces the rule of law rather than legislates it from the bench. He's a committed member of the Federalist Society, and, in the mold of the late Justice Antonin Scalia, believes that the Constitution should be interpreted based on its original meaning not the meaning created in the mind of judges and in the illegitimate "penumbras and emanations" of the Constitution. 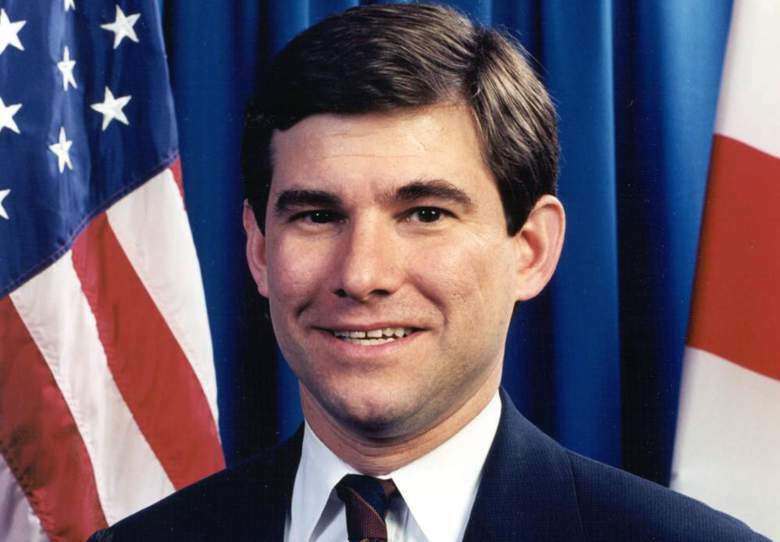 "I am a conservative, and I believe in the strict separation of governmental powers," Pryor wrote in 1997 when he was attorney general of Alabama. "Courts should not resolve political problems" and the JSSFC wholeheartedly agrees. "Senate Majority Leader Mitch McConnell and the Republican-controlled U.S. Senate should not hesitate to use the 'nuclear option,' if necessary, to confirm Pryor or any nominee, because a restrained and law abiding judiciary is an essential component of self-government and to the liberty of the American people. Senate Minority Leader Chuck Schumer has vowed to block any Trump appointment, and thus it's time to pay hardball," said Larry Klayman, the founder of both Judicial Watch and now Freedom Watch and the chairman of this Judicial Selection Strike Force Coalition. William Pryor would be an extraordinary nominee and JSSFC gives him our highest rating and recommendation. JOIN THE JUDICIAL SELECTION STRIKE FORCE COALITION! Much has been said and written recently, particularly in the lead up and aftermath of the 2016 presidential and congressional elections, about the need to identify, nominate and confirm conservative strict constructionist Supreme Court justices during the new Trump administration. Indeed, this is a priority and finding and having confirmed Justices true to this cause is a priority, particularly since in the past presidents have been deceived by appointees, who later go soft on the Constitution and conservative values. Chief Justice John Roberts is just the latest example. However, from our experience, the selection of lower court federal district judges and appellate judges is just as important. 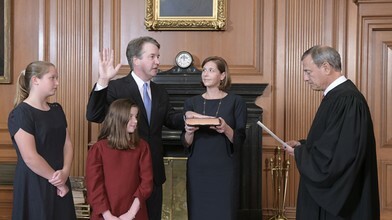 As Democrats have controlled The White House and thus effectively judicial selection under the Clinton and Obama administrations over the last 16 of 24 years, the lower courts are now infested with scores of leftist judges who defy the law to impose their leftist, socialist, atheist, anti-Judeo-Christian, pro-feminist, pro-radical gay, lesbian and transgender and pro-illegal immigration agendas, to name just a few, on the nation. 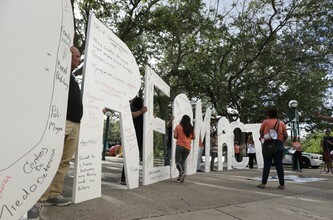 These judges not only could largely care less about the vision of our Founding Fathers, embodied into the Constitution and the Bill of Rights, but on many occasions intentionally misconstrue facts and twist the law to suit their "ends justifies the means" approach to legal governance. This has created a crisis in lawless "judicial activism" and threatens the rule of law and the Constitution, the supreme law of the land. More than 70% of sitting federal judges are Obama or Clinton appointees, many of whom are radically left leaning activist and politicized judges who pay little, if any, attention to the Constitution or its original meaning and intent, much less the law in general. Regrettably, politically motivated and contrived rulings are the norm, not the exception. This has created monumental inconsistencies, vagueness, imbalance and inequities. Each federal judge is an island unto himself and because he or she is unelected and therefore unaccountable, he or she can and do create tremendous legal chaos and thus damage. 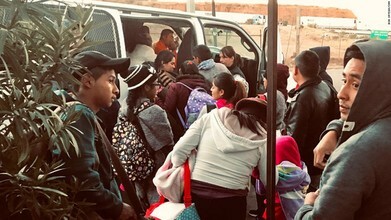 This crisis makes the selection of ethical intellectually honest and judicially restrained nominees to the federal courts a top priority for the Trump administration and the Senate. 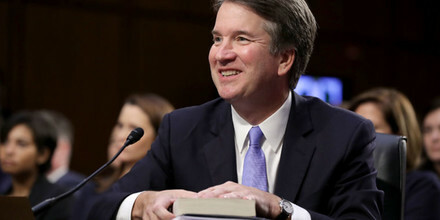 We must ensure that nominees are committed to being a judge not a politician and that their commitment is to the principles embodied and declared in the Constitution and the law generally, and not their own personal policy preferences and prejudices or those held by the politicians who select them. 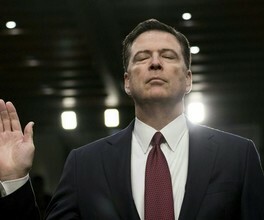 In the sphere of cases which touch upon the politicians and other elites who got them their jobs, many of these leftist Democrat appointed radical judges slow roll and cover-up the scandals of their benefactors, as occurred recently with the latest Hillary Clinton scandal over her private email server and the Clinton Foundation, which is part of a criminal enterprise encompassing much of the leftist elite. As a result, the American people have come to believe, as President Elect Trump emphasized in his campaign, that there are two systems of justice: one for the political elite and one for the rest of the citizenry. This perception, which sadly is reality at present, is extremely destructive of our body politic. 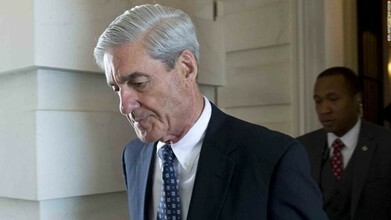 It is an outrage, for example, that Wikileaks had to release many of the damaging emails concerning Hillary Clinton, Bill Clinton, Chelsea Clinton, their Clinton Foundation, and the criminals around them including John Podesta and Huma Abedin, when lower court federal judges would not order their release in a mountain of Freedom Of Information Act cases. These Clinton and Obama appointed judges "slow rolled" and obstructed these cases to protect the Clintons and their comrades, in order to further Mrs. Clinton's hoped for election as the 45th president. Thus, our Judicial Selection Strike Force Coalition is designed to help incoming President Trump and his colleagues in the Senate identify and confirm truly ethical and honest constitutionally minded judges who do not "cook" their decisions and actions to suit their political and other agendas. As our great Founding Father and second American president John Adams advocated in convincing the colonies to agree on and then sign the Declaration of Independence on or about July 4, 1776, we were to become a nation of laws and not men. To this end, we dedicate our Judicial Selection Strike Force Coalition. We have enlisted and will continue to enlist like-minded groups from across America to sign a letter and work toward a restrained, ethical, and honest judiciary which benefits all: conservative, liberal and everyone in between. We will also work closely with the Senate Judiciary Committee to select, nominate and confirm the highest quality judges with a restrained judicial philosophy and fidelity and commitment to the original meaning of the Constitution, and a general respect for the rule of law. The judicial branch of government was designed to be a check on the tyranny of the other two branches of government and when it becomes the source of "judicial tyranny," our republic is truly in mortal danger of survival. Currently there are about 100 combined Supreme Court and lower court vacancies and we must work together to identify, vet and recommend justices and judges who will uphold the rule of law as envisioned by our Founding Fathers and framers to the Constitution. We would request an "authorized signer" for the organization to join in our efforts by signing the following letter. No matter the issue your organization is dealing with, this issue must take priority because like the referee who is corrupt, it destroys the "game," unethical and compromised Supreme Court justices and judges make "true justice" impossible. This contaminates and destroys the entire system of justice that we all cherish, which is the bedrock of our nation. We represent millions of Americans deeply concerned about an activist federal judiciary. Judicial activism and lawlessness by judges threatens self-government; without self-government there is no liberty. In America, lawmakers must be accountable to the people, yet unaccountable judges with life tenure too often assume that role by twisting facts and attempting to distort, interpret and make our legislatively enacted and common laws mean something other than what was and is intended. Some of us lobby, others educate. We have different methods, different means, but one message. We will promote ethics and honesty, judicial restraint and fight judicial activism with whatever tools and resources are legitimately at our disposal. The Constitution names the President and the Senate as the key players in judicial selection, but both are accountable to the people. As the 113th Congress opens, we want you to know of our common resolve and commitment to see and secure a more ethical, intellectually honest, restrained judiciary, one more consistent with self-government and liberty as intended and designed by our Founding Fathers and the Framers of the Constitution. To sign, please complete the form below. Upcoming, we will be having regular newsletters, podcasts, and communications to keep you updated on judicial selection progress. Finally, you know me as the founder of Judicial Watch and now Freedom Watch. Working with me on this project is Michael Pendleton, Esq., who was Judicial Watch's Director of the Western Regional Office during the years that I was the Chairman and General Counsel of this organization. Before that Mike was the right hand man to Paul Weyrich, the great conservative icon who founded and headed up the Free Congress Foundation, the precursor to what our Judicial Selection Strike Force is organizing to now do with the new Trump administration. We thus, along with you and your organization, have great collective experience in successfully implementing this important project and endeavor to "Make America Great Again" with a revived and integrity driven system of justice. aol.com or call (909) 560-7585. Please complete the following form to add your name and organization as a Coalition Sponsor. The Judicial Selection Strike Force Coalition is sponsored by Freedom Watch, Inc.